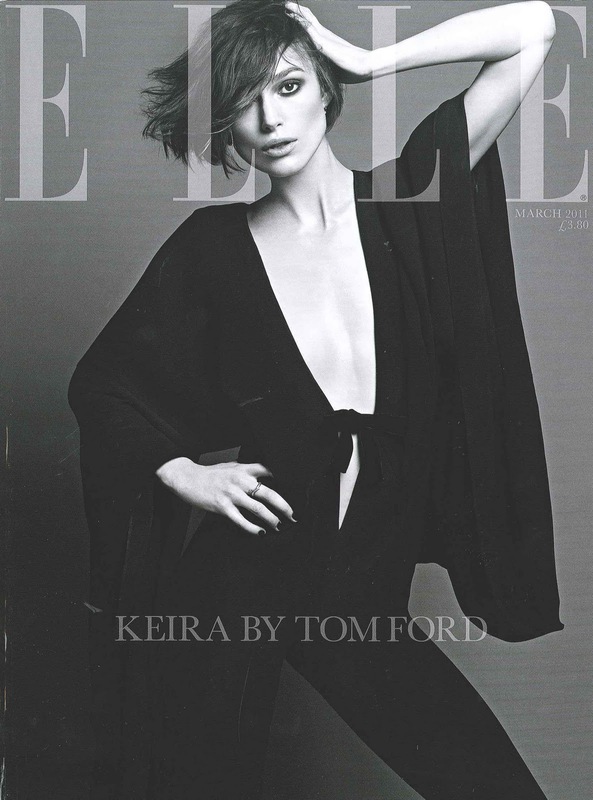 Keira Knightley gets another magazine cover for 2011, this time she's on the March cover of Elle UK entitled 'Keira by Tom Ford'. This is her subscribers cover, scanned images of the newsstand cover have been low quality, when I find a good one I'll post it. Knightley as recent is starring in The Children's Hour at the Comedy Theater in London opposite Mad Men star Elizabeth Moss. I love love love this cover, a definite plus from her January Vogue UK cover. Knigthley is wearing none other than Tom Ford looking tres intense in the bat wing catsuit. Can't wait to pick up my copy.